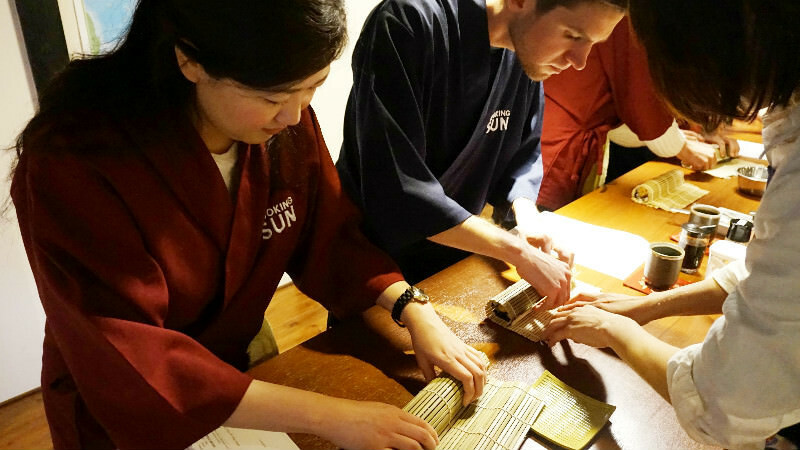 Learning Japanese cooking the authentic way at Cooking Sun was something I always wanted to do. I went to a Bento class offered during the morning at Cooking Sun. I had so much fun learning and cooking along with the instructors and other students! I made about 6 different dishes starting off by making the dashi soup stock. If you love food (who doesn't! 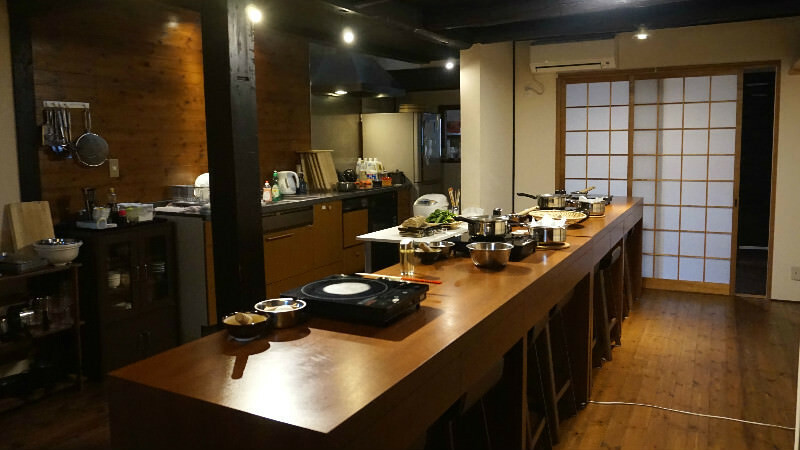 ), I suggest you to take a cooking class here! I arrived at cooking sun about 5 minutes before the class started. There were few students already there looking like they were ready to start! After everyone was settled in, we were given aprons to wear and headed over to the kitchen. First step was to make the dashi soup stock. It is the base of many Japanese dishes. 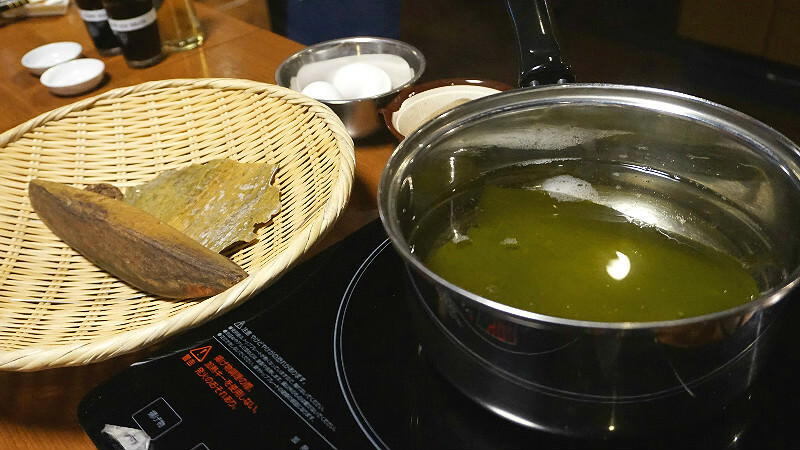 We were introduced to some of the ingredients used in making this dashi stock like dried bonito and sea kelp which gives off lots of umami. 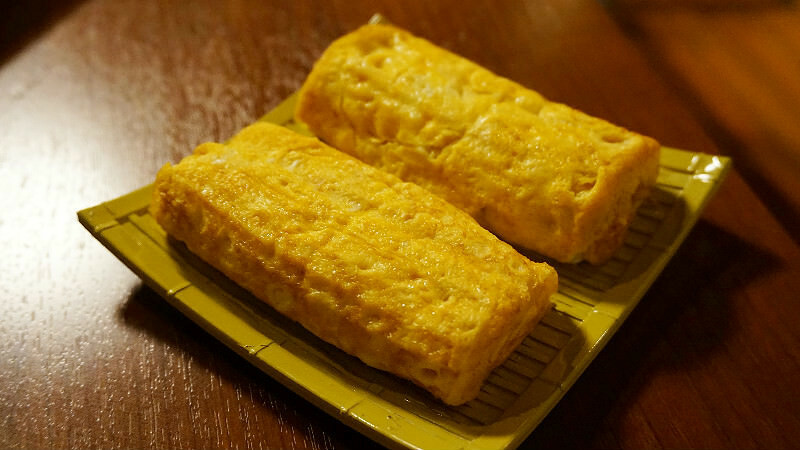 Have you seen a rectangular shaped pan before? 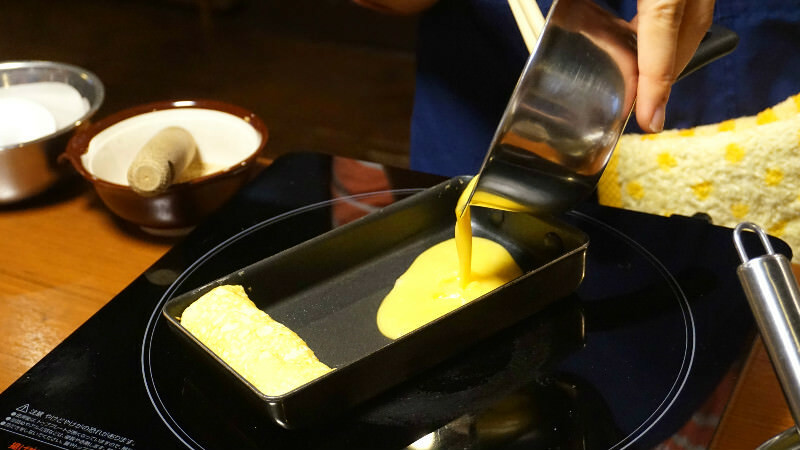 This was used in making "rolled egg". 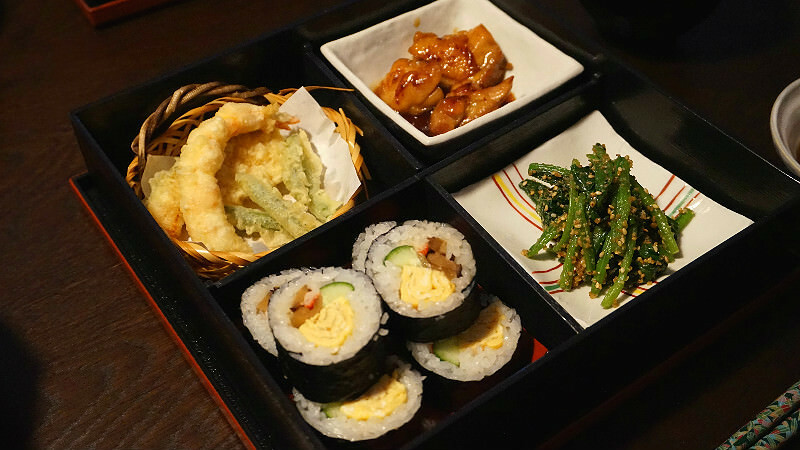 Dashi stock was used in this and is one of the main ingredients that gives this a delicious flavor. 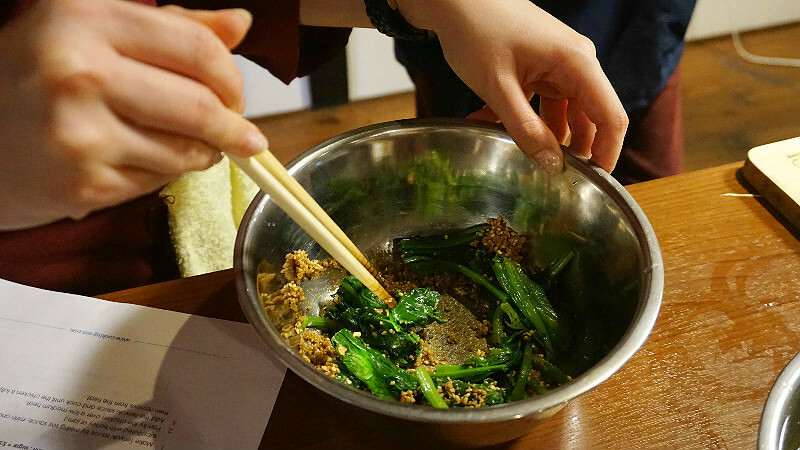 Next dish is "gomaae" made with spinach and sesame seeds. 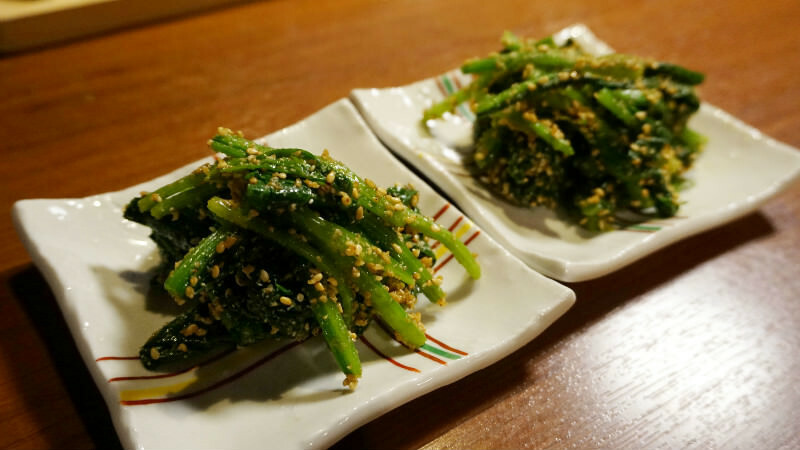 It's an awesome way to eat some vegetables deliciously, and this sesame dressing can be used in other vegetables as well. Many students enjoyed this dish very much! Next is sushi roll making! 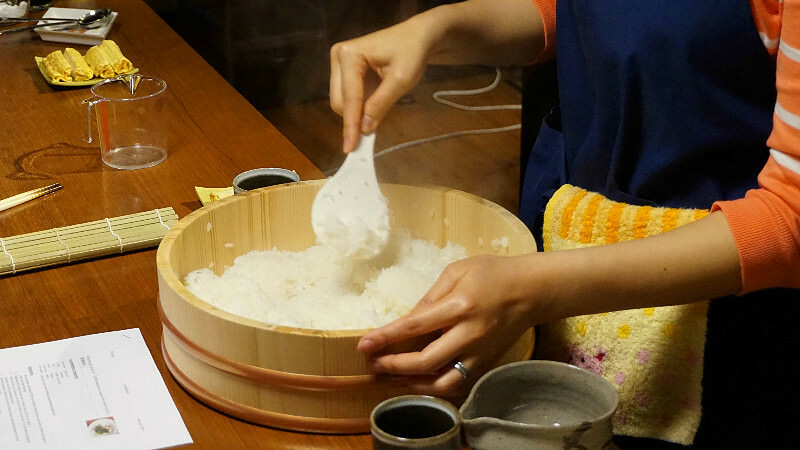 Starting off by adding the vinegar and sugar into the rice and mixing it to cool it down in a wooden bowl. I found out the wooden bowl will release the heat better. I also found out that sushi typically has sugar added to the rice. 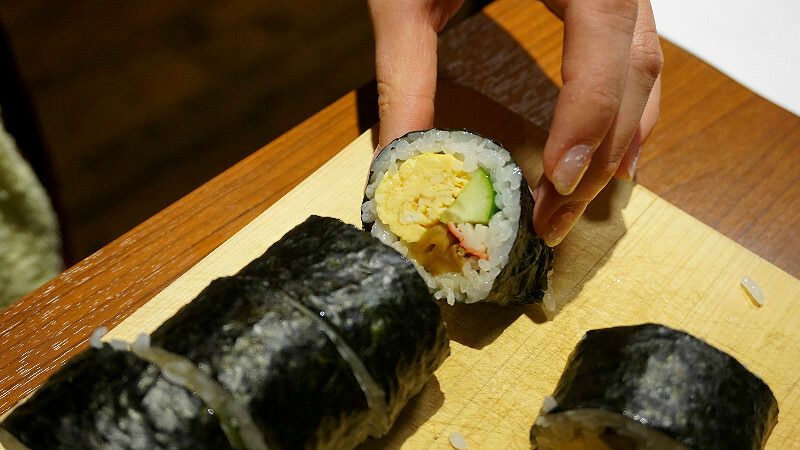 Next we spread the rice on a sheet of nori seaweed and add on the ingredients! Then I carefully rolled the sushi. After that, I cut it into 8 pieces. I thing that I made some pretty good looking sushi rolls. Then on to making teriyaki chicken and some tempura. I made a little mistake when preparing the shrimp for the tempura. 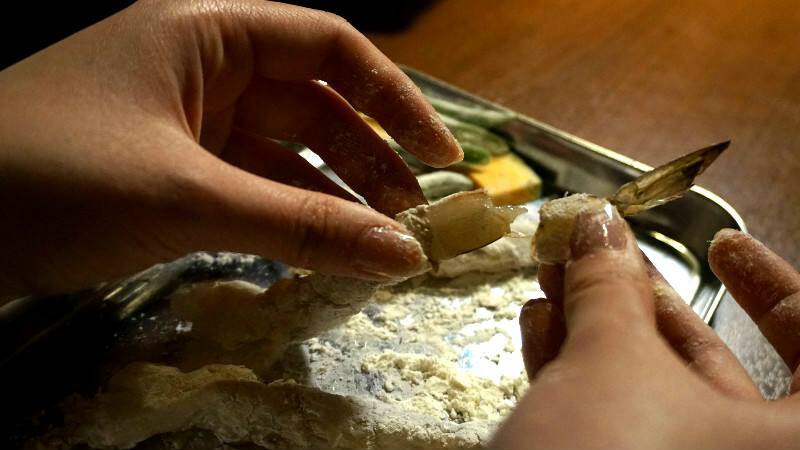 The vein on the shrimp had to be carefully taken out with a wooden stick. I didn't do that carefully and made a slit by accident. And when it came to preparing the tail to leave on for presentation, I accidentally cut it off. Don't make the mistake I did by taking off the tail, it's needed for presentation. Luckily, I wasn't the only one that made the mistake and the tail was able to be some what put back on. 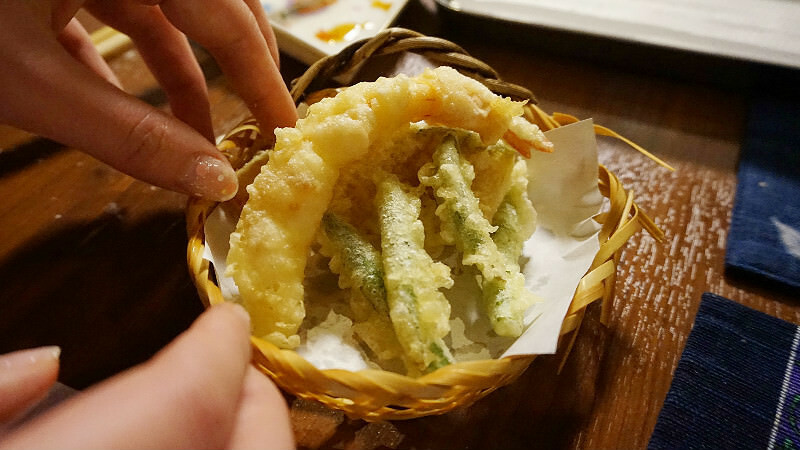 Tempura turned out very nice! I think I did a pretty good job! Other students cooked wonderfully as well and everyone had so much fun. Everything was so delicious and well-balanced. I hope that all the students attended the class will recreate these dishes in their home countries and use the skills that was taught during this class. I sure will use some of the techniques I learned in class and keep on having fun cooking! 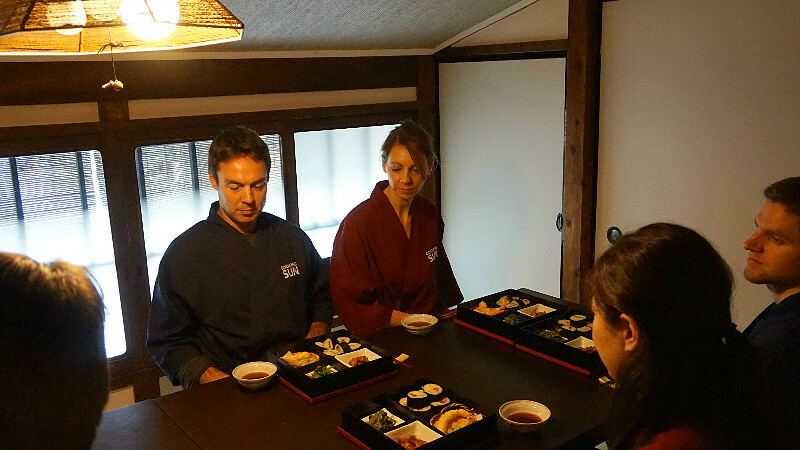 There is the Izakaya class as well with dishes that are often served in Izakaya style restaurants like gyoza. The class was about 3 hours long, so plan ahead and make your reservation online.